Devin Shoecraft is a partner and has been with Shoecraft Burton since 2007. He handles a variety of litigation matters in both state and federal court. Devin’s areas of focus include insurance coverage disputes, insurance bad faith, and consumer protection laws. 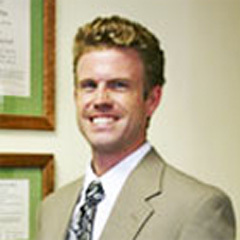 Devin’s clients have included both vehicle dealers and vehicle purchasers in disputes involving California’s Consumers Legal Remedies Act, Song-Beverly Consumer Warranty Act, and Automobile Sales Finance Act. . Devin also has experience with environmental clean-up cost-recovery litigation, including issues of public agency oversight and National Contingency Plan (“NCP”) compliance. As liability defense counsel, Devin defends a variety of personal injury, automobile accident, premises liability, and unfair competition claims. Devin specializes in obtaining early, favorable outcomes for clients through pretrial law and motion practice and alternative dispute resolution. Devin is admitted in the State of California, all California state courts, and the United States District Court for the Southern District of California. Devin is a member of the Association of Business Trial Lawyers, San Diego chapter, and a member of the Litigation Section of the State Bar of California. Obtained summary judgment in favor of insurer on breach of contract and insurance bad faith claims by establishing the absence of a triable issue of fact as to whether the insurer had paid the “actual cash value” of the damage to plaintiff’s dwelling. Demurrer to complaint alleging insurer client acted in “bad faith” in declining to defend insured against “negligent” self-defense claim sustained without leave to amend. Obtained summary judgment in favor of insurer against class-action claims arising out of insurer’s method of calculating effective date of policy cancellations and charging of “fully earned” policy fees. Demurrer to complaint alleging client was liable for fire attributed to actions of her tenants sustained without leave to amend and affirmed by the Court of Appeal. Obtained judgment on the pleadings in favor of client alleged to have wrongfully appropriated competitor’s business practices and methods. Obtained summary judgment in favor of client homeowner against negligence claim of injured roofing contractor. Prevailed in arbitration in favor of client alleged to have concealed “frame damage” to used vehicle and violated the Automobile Sales Finance Act. Obtained summary judgment in favor of client landlord against negligence claim of inadequate security around property’s swimming pool.